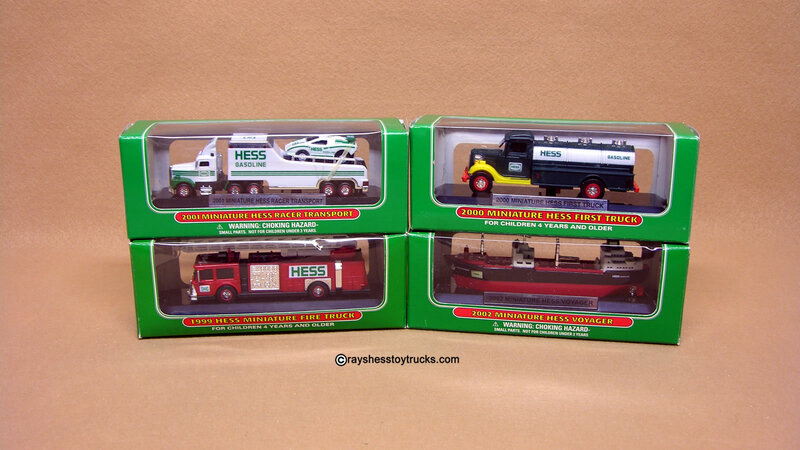 Complete 4-pack set of mini trucks from 1999, 2000, 2001 & 2002. Each is made of plastic measuring about 6″ in length. 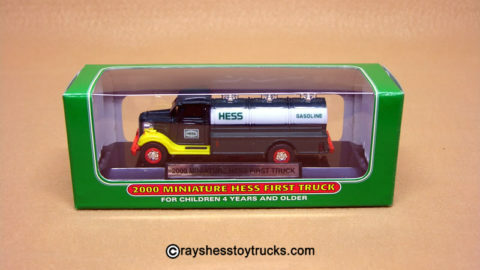 2001 Miniature Hess Truck is a Hess Race Transport. 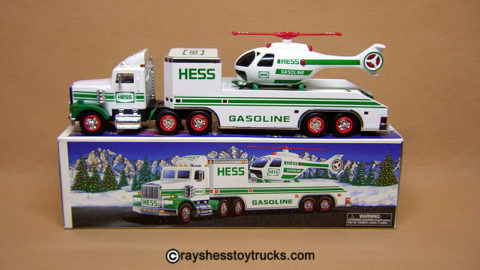 Each Mini Hess Truck sits on an attractive display base. 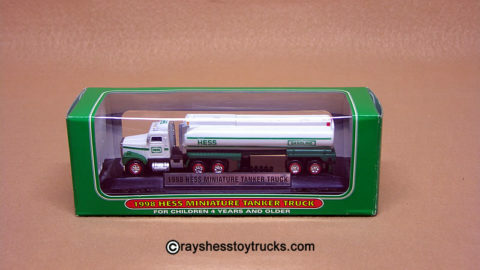 The factory pre-installed AA and AAA batteries have a tendency to leak over time. 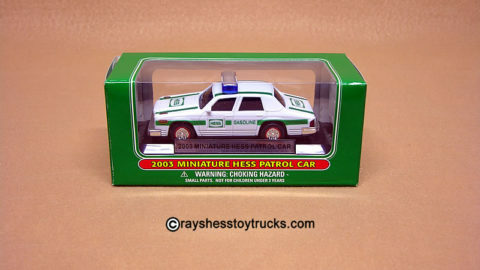 Therefore, we remove the AA and AAA batteries to prevent any damage that could be caused due to the battery leaking and are not included.